Whether it's just the two of you or a larger family, the Loch Rannoch Highland Club in Perthshire has the holiday accommodations you need. The resort is found in Kinloch Rannoch on the shores of Loch Rannoch, which means that all units have beautiful views and immediate access to trails and the shore. Whether it's just the two of you or a larger family, the Loch Rannoch Highland Club in Perthshire has the holiday accommodations you need. 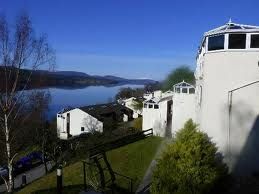 The resort is found in Kinloch Rannoch on the shores of Loch Rannoch, which means that all units have beautiful views and immediate access to trails and the shore. Choose one of these Scotland timeshares for sale if you want to enjoy some of the most breathtaking scenery in the nation. People come to this corner of Perthshire for many reasons. Loch Rannoch is a main attraction, but so are Rannoch Moor and the Tay Forest Park. It's also the home of one of Scotland's most famous hills, Schiehallion. Also known as the Fairy Hill of the Caledonians, this towering summit is incredibly popular with trekkers. It's easy to climb, yet still affords spectacular views in every direction. Water sports are also perennial favorites for visitors. The fishing is always exciting, while other guests may choose to kayak or canoe on the gentle waters. Visitors can easily spend all day roaming as they tour historic sites and ancient castles. Several local distilleries are featured in the itinerary. More adventurous travelers may choose to indulge in white-water rafting excitement. Of course, it's always comforting to know that the Loch Rannoch Highland Club awaits guests at the end of the day. The resort boasts a number of bicycle trails for active guests while laundry facilities ensure a tidy stay. Pets are allowed in some units. These Scotland timeshares for sale boast a stunning variety of accommodations, from studio to one-, two- and three-bedroom floorplans. Regardless of which style you choose, these units are comfortably outfitted with all of the modern conveniences and comforts. Televisions and DVD players are found in each unit as is free WiFi. 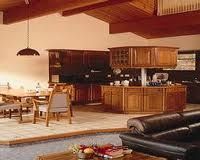 Full kitchens allow for the preparation of everything from snacks to four-course meals. A sauna is included in some units, and all accommodations have balconies for enjoying the gorgeous views. 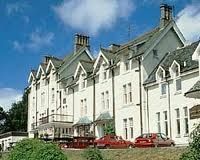 At the Loch Rannoch Highland Club, guests enjoy comfortable accommodation in the midst of Perthshire. When you select these Scotland timeshares for sale, you'll be able to enjoy superior vacations. Contact Loch Rannoch Highland Club Specialist Today!